My smallest Christmas gift this year was one of my very favorites. 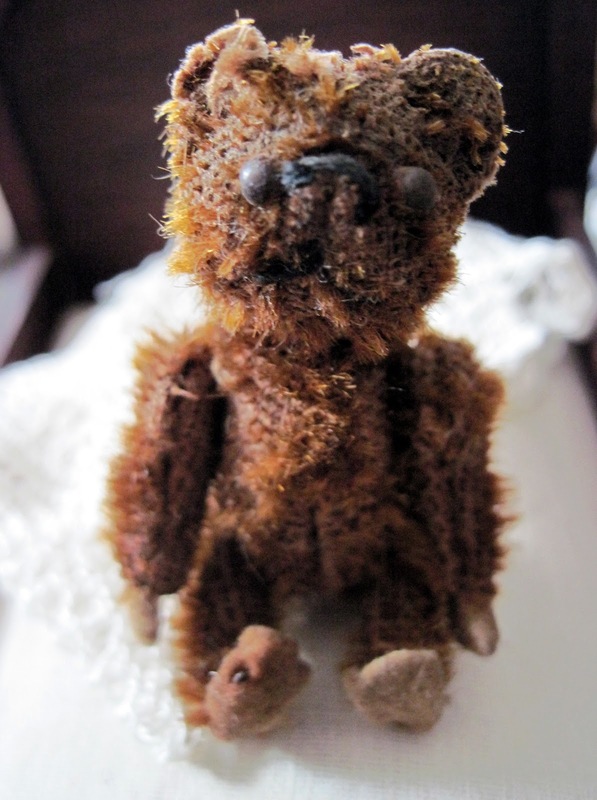 This tiny two and a half inch tall bear was made in Germany by the Schuco company in the 1920s. Schuco was a major manufacturer of tin and mechanical toys, and their early teddy bears reflect this history. 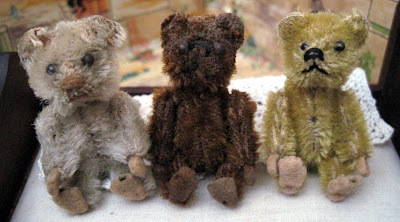 Instead of being stuffed in the usual way, these tiny teds have an internal metal framework over which the mohair was affixed. The earliest of these bears had delicate felt paws, a feature that was quickly discontinued. They came in a wide range of colors, from standard gold to vivid violet. Their structure made them fragile and their size made them easily lost, both of which make them rare bears today, very desirable even in this worn condition. who have lived in my collection for several years. Cool! I can see some of my dolls coveting these tiny cuties!